Applicants to FGCU's MBA program do not need to have professional experience. The admission committee focuses on student's undergraduate GPA and GMAT scores when evaluating applications. Students must have either a minimum GPA of 3.0 for their final 60 credit hours of undergraduate work or a minimum GMAT score of 500; and a formula score of at leas...Applicants to FGCU's MBA program do not need to have professional experience. The admission committee focuses on student's undergraduate GPA and GMAT scores when evaluating applications. Students must have either a minimum GPA of 3.0 for their final 60 credit hours of undergraduate work or a minimum GMAT score of 500; and a formula score of at least 1,050 under the formula [(undergraduate GPA X 200) + GMAT score], with a minimum GMAT score of at least 400. International students from countries where English is not the primary language must also submit TOEFL scores. The school requires a minimum of 550 for the written portion of the test, 213 for the computer based, and 79 for the Internet-based portion. Students at FGCU are busy. Many who attend on campus work full time, and many of them also have families, so their ability to enjoy the campus or extracurricular activities is limited, if it exists at all. FGCU undergrads who entered the program directly and international students tend to have far fewer obligations and, therefore, have a larger presence outside of class. People at FGCU say their peers are “dedicated, hard-working, knowledge driven, enjoyable to work with, and dependable.” Many students “have had professional work experience, which translates into richer class discussions that help to make material covered in class more practical, rather than theoretical.”The Graduate Business Association coordinates many different professional growth opportunities for students. It arranges for local business people to speak on campus or meet with students and provide strong connections to alumni. Additionally, the Graduate Business Association hosts social events for students, such as happy hours, family picnics, and an annual golf tournament. FGCU’s Career Development Services office serves the entire undergraduate and gradu­ate population, and some students in the MBA program would like to see “more resources for graduating MBA students for professional/career positions and internship opportunities.” However, the office does host career fairs and on-campus recruiting events, as well as workshops and seminars. Students can also receive help with their job searches, resumes, and business etiquette. Employers who will visit the campus in 2011 include General Electric, Northwestern Mutual Financial Network, Marathon Engineering Corp, Prudential, Primerica Financial Services, Scotlynn Commodities, Target, and Algenol Biofuels, though these companies are not necessarily looking to hire graduates of the MBA program. 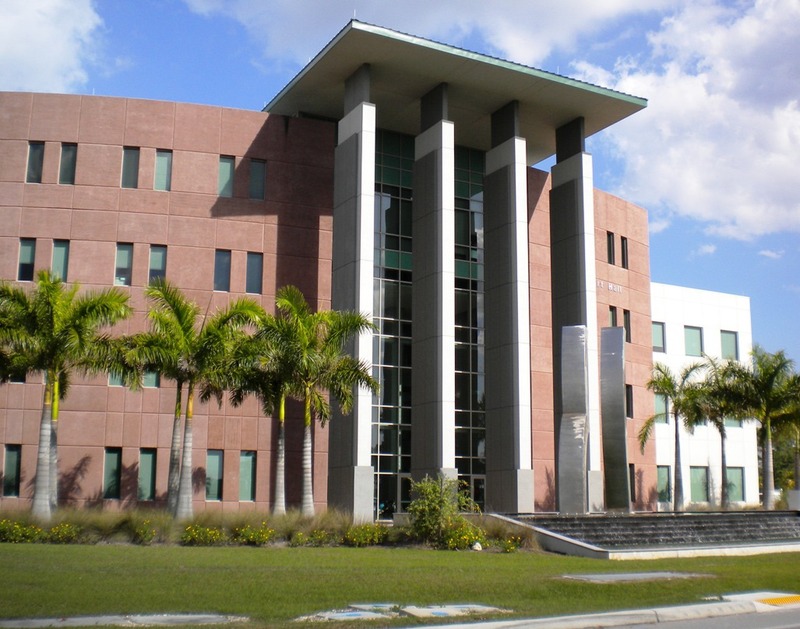 Opened in 1997, the Lutgert College of Business at Florida Gulf Coast University offers a part- or full-time traditional MBA and executive MBA program, as well as an MS in accounting and taxation and an MS in computer information systems. Students may attend the traditional MBA on campus or online, but the other programs require on-cam­pus and full-time attendance. The traditional MBA requires all students to take 24 hours of foundation courses and 21 hours of core courses; those who studied business as an undergraduate and earned good grades may find that they can waive many or all of the foundation requirements. Students in the traditional MBA program must choose a con­centration in Finance, General Management, Information Systems, or Marketing, though students may opt for an interdisciplinary concentration with the approval of their aca­demic advisor. Those taking courses online may only do an interdisciplinary concentra­tion from the above areas. All of FGCU’s MBAs receive solid training in systems orienta­tion and relevant technology. Additionally, students in all programs leave with strong analytical and creative thinking skills, communication, and interpersonal skills. They appreciate that the program is newer than most and that they are a part of a “growing institution” and “community,” with a “beautiful” and “expanding campus” and “state­of-the-art infrastructure and classrooms with highly integrated technology.”The program’s strengths are its “flexibility and the professors,” as well as the small class­es that allow people to know their “professors and other classmates on a more personal level.” The faculty has lots of “real-world work experience,” and “draw from their expe­rience and teach you real-world applications of the academics.” They’re “engaging, accessible, and interested in your personal and professional development.” Classes range from “exceedingly demanding” to “easy,” but either way it can be tough for those work­ing full time or who’ve been out of school for a while to “adjust to the course load.” Students report that “course selection and availability is somewhat limited,” which can make it difficult to get all the classes needed to complete a degree in a shortened time-frame.” Electives are also offered less consistently than students would like.FGCU has forged relationships with many international business schools and has an international student exchange program known as the “Second Circle.” The program allows students from universities in China, France, Germany, Mexico, New Zealand, and Sweden to study at FGCU for up to two semesters. FGCU students with a GPA of 3.0 or higher may spend up to two semesters at designated partner universities in these coun­tries. Second Circle is an impressive and rewarding program for students seeking to deepen their understanding of international business and who want to gain experience abroad and work on their language skills. Want more info about Florida Gulf Coast University Full Time MBA? Get free advice from education experts and Noodle community members.